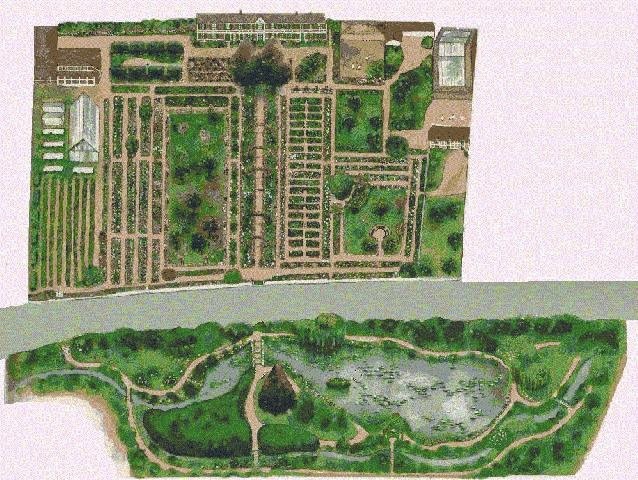 Aerial view of Monet's garden, house, highway and lily pond. The pond or 'water garden' is accessed from the bottom left-hand corner of the main garden area under the highway. Art galleries beg, borrow and steal - or others apparently do so on their behalf - to create their shows. They mix and match to add other ‘flavours’ and contexts to the same works, rebranding them, from time to time gathering identical pieces together differently under ‘new’ twists, concepts that become the hype of a promotional strategy planned to pull the crowds in again and again: large numbers mean good profits. 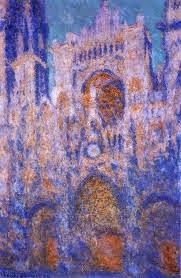 So it is that one frequently feels that one has seen every available Picasso, and every Monet too. 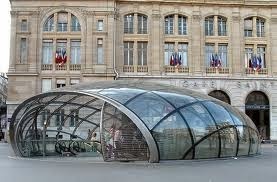 Galleries in London, Paris, Sydney, Melbourne, for example, have all done the same over the years. It is not a unique strategy. Possibly the most annoying promotion was the big ‘Picasso’ event in Melbourne that was subtitled in small print ‘and his contemporaries.’ The show was about the Picasso era, but this was never made clear until one had entered and wondered about the relevance or otherwise of the subjects on display. Or was one blinded by the naming? 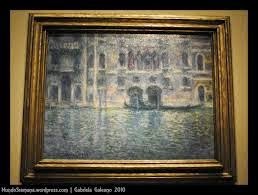 While the ‘Picasso’ appellation was the draw card - the name was in three-metre high, floodlit letters in front of the gallery - the show was filled with nearly everything other than a quantity of original pieces of the master. 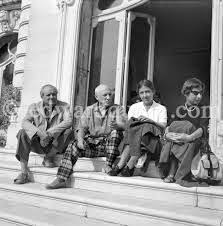 The show had the works of other artists and photographs of Picasso with his friends; painting Guernica; on holidays; picnicking; boating; etc., and some personal knickknacks, with a few paintings and sculptures by the maestro in between. It felt like a con, a cheap show designed to reap in the money of unsuspecting punters. 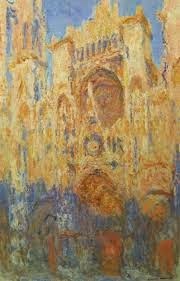 Monet turned up once in a collaged theme in Paris with Turner and Whistler, Turner, Whistler, Monet. 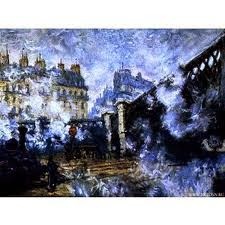 One gets the gist of the thought - it is all about painting light. This show was not as cynical as the Melbourne event that made a blockbuster occasion out of nothing but a selection of sundry items. Australians seem good at hatching up ideas for new shows. 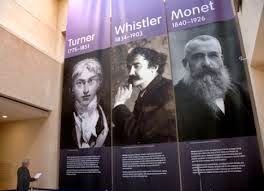 The National Gallery of Australia has presented Turner to Monet and Monet & Japan. What might be next? It seems that anything that sounds attractive will do, irrespective of the content. It is all about profit. The Paris trilogy show was a runaway success. Crowds lined up for kilometers; but the wait was made interesting as the queue, unusually for the French, spiraled neatly around a rather beautiful water feature full of naked cherubs, fish, frogs, alligators and angels all spurting, spraying and splashing delightfully. 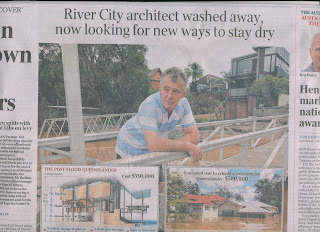 Melbourne had no such a thing to entertain the bored eye, just its bland walls and formal pools. 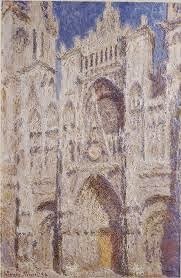 The one memorable exhibition that can be recalled was Monet at the National Gallery many, many years ago. 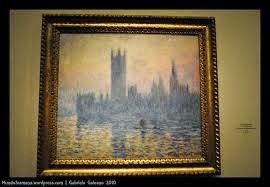 It was a superb display of quality lighting illuminating beautiful paintings by Monet. 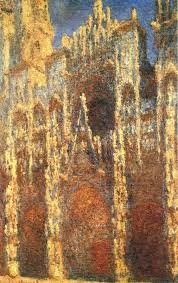 In a high, dark space, at eye level, the small Monets were individually illuminated by a very low level, carefully-framed light from above that fitted each work perfectly, tailor-made lighting defined for each painted surface, making them alone glow gloriously in the gloom, as if the painted colour was the source of the luminance; which, by reflectance it was. The experience might be better understood if one said that the effect looked like the backlighting of a transparency, such was the intensity with such a modest level of energy. 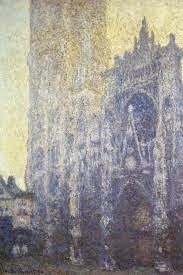 It made Monet’s commitment to light self-evident as a visual experience. I think that this was the last exhibition that I attended without complaint about the display and the lighting: see - http://voussoirs.blogspot.com.au/2014/10/hot-modernism-architecture-in.html and the associated links to other writings in this piece. Maybe time and effort were able to be expended on getting things right in those days when profit was not the singular aim of art galleries? 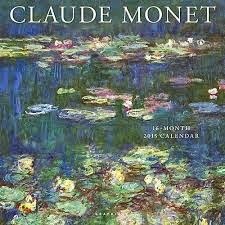 Monet was indeed one of the great masters of modern art. Repetition never made his work boring. 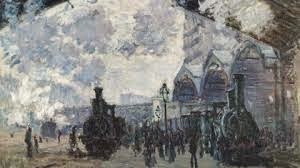 He repeatedly painted his garden as he did the landscapes of France and cityscapes of London in all seasons, in different lights, and at different times of the day. 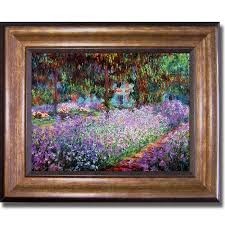 While his haystacks, cathedrals, oceans and rivers are unforgettable in their rich subtlety, it is his garden that has become the icon - his lilies. 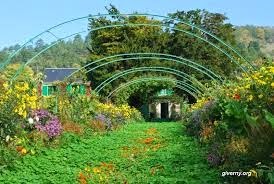 The garden is still being cared for in the small village of Giverny. 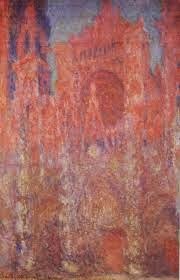 It attracts huge numbers of tourists who visit to see the master's handiwork, the colour, the beauty, and the home: to stand where Monet stood; to walk where he roamed; to see what he saw; to sit . . Everyone comes with the hope of experiencing the garden in the way that Monet saw it and painted it - felt it. 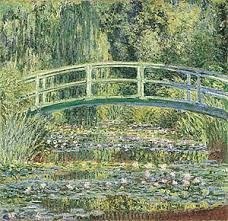 His paintings that illustrate this garden have travelled the world to be exhibited for everyone’s admiration. 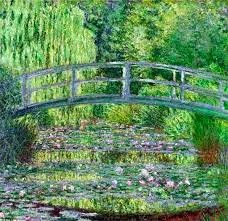 When one says ‘garden,’ one also includes the pond, Monet’s lily pond where he spent so much time recording the play of light and colour. 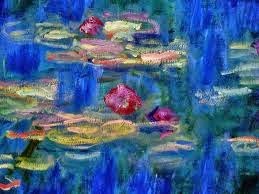 The painted lilies mesmerize and draw huge numbers who stand silently in front of the canvases, amazed But there is no differentiation in the promoted idea of Monet’s place: garden and lilies meld together in the good feelings one has about the master, and nothing is done to inform folk otherwise. 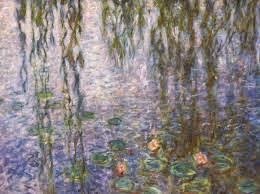 Many publications reproduce the lilies, the water and the reflections as enigmatic brush strokes and smudges that reproduce the play of light as it is reflected, refracted and refiltered in all its height and depth in one plane that dances around the trees and green ‘Japanese’ bridges on which everyone wants to be photographed, even Monet. 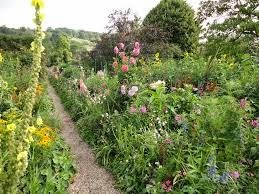 The idea of the garden becomes embedded as a glorious sprawling gathering of flowering plants clustering around a pond accessed by paths for pensive strolling. 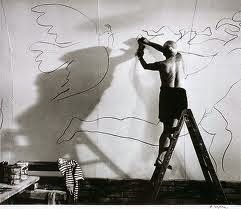 It is conceptualized as an integral wholeness much loved by the master. 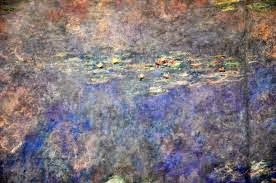 One longs for it; wants to see it in all of its subtle romance and glorious hues - just like Monet himself who cared for it deeply. 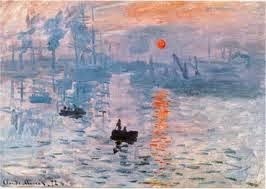 Monet painted light. 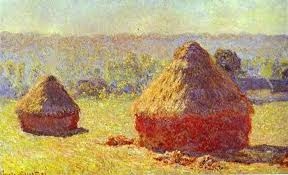 His haystacks can be used as an example of how he worked with the one subject, the one place, through seasons and time of day. 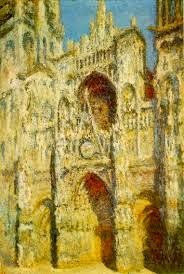 Rouen Cathedral could also become yet another example of this concentrated effort, his interest in careful observation, as could the Thames in London. 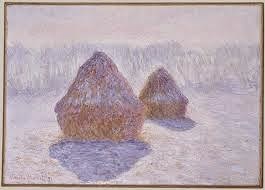 When preparing for a talk some years ago, I photographed some prints of the haystacks. It was astonishing to see the variations in the light meter with the different seasonal representations of the one subject and location. 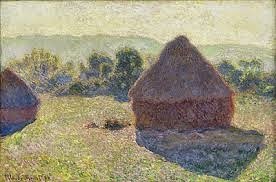 The camera could read the variance in lighting levels as though it was present, in the field with the haystacks. 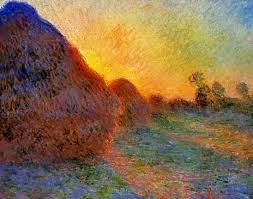 Monet’s works truly hold light. 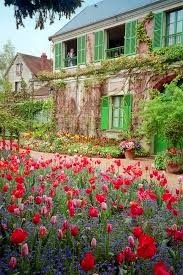 The garden is always on the list of visitors to France, Paris. 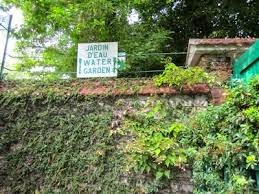 It is constantly understood and promoted poetically as ‘Monet’s Garden,’ nothing else, as if it was a part of the local Parisian world. Only time, timetables, seasons, and weather make the trip awkward or impossible, perhaps to be deferred until the next visit: or so it was with us. 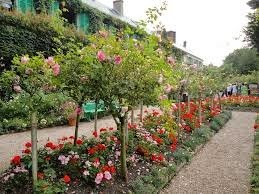 Years had gone by and we had never been able to get to this envisaged haven that was discovered to be some distance from Paris, best seen on a fine day in spring or summer. The tourist information rarely makes its location immediately clear. It is not as though it is an easy place to access. 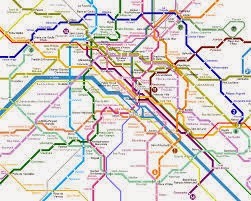 From central Paris, after a trip on the Metro, the journey involves two trains and a bus, an excursion that takes nearly two hours each way. The visit is a whole day affair - one whole day out of the general itinerary when there's is so much else to do, so much else to see. The tour needs commitment and endurance. We got there, not in spring when everything is said to be at its best, but in late autumn. 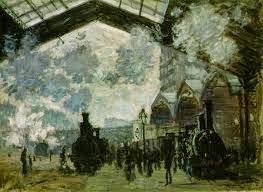 At least the journey started at St. Lazare station, one of Monet’s favourite subjects that is steamless today, a seamless modernity that lacks the intense character of the old that one is left dreaming about while trying to recreate the Monet images of it. 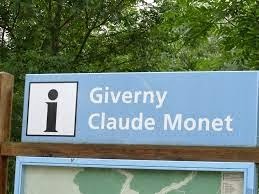 The bus dropped us off in the large car park outside the village of Giverny with directions to get to the garden, a good walk away, and instructions for our pick-up time. One felt like a part of a guided sightseeing group, but the times only had to do with local transport schedules. We followed the signs through the village, passing restaurants and homes to at our destination. 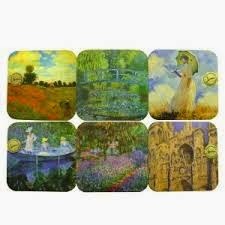 We entered Monet’s property via a narrow reception area where one paid for entrance, then walked upstairs into a large studio space that was fitted out as a huge shop selling everything ‘Monet,’ from high art to souvenir trash. It was from this space that one could move out past the toilets and the chook pen into the garden. 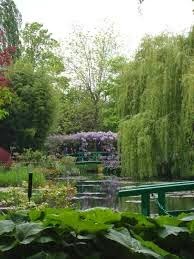 One strolled around narrow paths discovering more tracks and larger avenues, all revealing a wonder of blooms and foliage: but where was the pond? 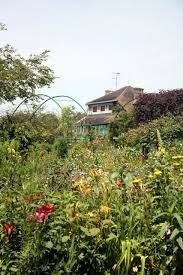 Even at this time of the year there were flowers in the garden that turned out to be more than interesting to meander through with its bushes, shrubs, vines and arched bowers. 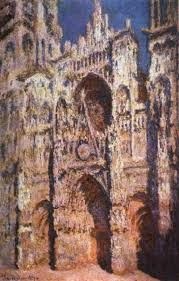 One could see the paintings again and again, as living branch and leaf, dirt, sunlight and colour. One had never given it much thought, but the garden had a house between it and the street. 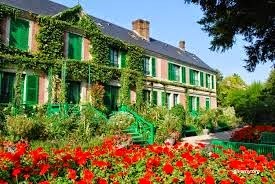 One could stroll through the house, room to room, thinking of Monet, while glimpsing out to the garden through the various windows and doors and sensing the ghosts of those who once lived the everyday here everyday. The image of a masterly existence was given some grounding in the hubbub of the daily grind that materialized in its essence in the kitchen. This space was wonderfully appointed with smart tiling, broad timber shelves, benches and tables, tiled floors and walls, polished copper pots, and beautiful cookers. It was obviously the heart of the home. 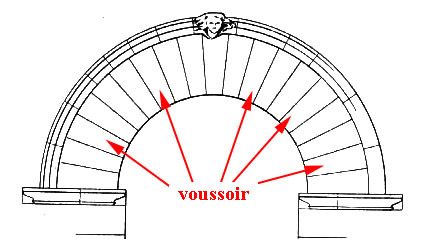 From here one exited to the arched avenue, the axis of the lovely grids of garden. 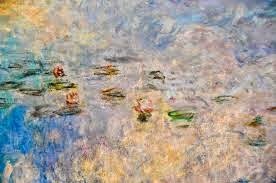 One had never thought that Monet’s garden might have been so regimented. 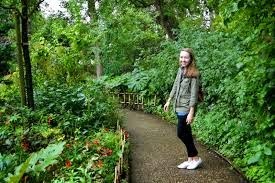 The foliage, flowers and the pond had always seemed so free and flowing in their casual informality: but where was the pond? There was no space for it in this confined area. The glimpses from the upper floor of the home revealed nothing. 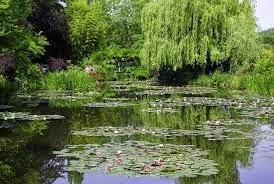 At the end of the avenue, a modest sign appeared: Lily Pond, with an arrow that pointed somewhere near to the far edge of the garden. It could not be there. One eventually discovered the track and, following more signs, moved through an underpass to the other side of the busy road above. Here one encountered a boundary with an open field - no pond here! - and strolled along a narrow path located between a rushing stream and a paddock fence - ah! Water at last! It seemed a doubtful progression to such an iconic location. There was hardly any organic connection between the two places as the publications suggested. Where was this track heading? One advanced onto a narrower dirt path passing through thicker foliage that opened up to a glimpse of water: the pond - at last! The track continued and meandered around the water into the dark shade of trees and out again to the vista. There it was. 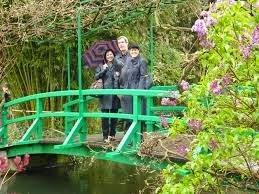 In front on one was a bright green painted balustrade surrounding a small deck that looked out to the water: a photo point; taken already! 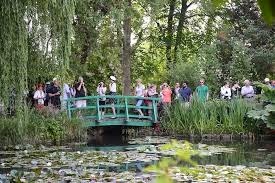 One strolled around the earthen track to the small bridge, passing hundreds of tourists trying to catch an image of the pond or themselves free of their own tourist mayhem. 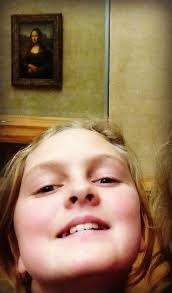 Who wants images of strangers in their snaps? 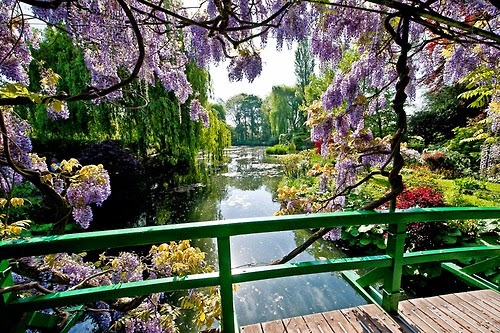 One was here for the garden and the pond, not to share the experience with others. This clash between numbers and reverie is one of the enigmas of tourism that degrades place into a ‘look, see, tick, next’ affair: see - http://springbrooklocale.blogspot.com.au/2012/06/who-or-what-is-tourist.html The big surprise was that this pond turned out to be completely separated from the house and its garden. The pond was on the other side of a highway on the edge of some agricultural land. No one had ever indicated this bifurcation, not one publication or previous visitor. 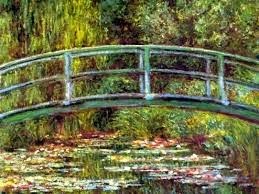 Books only concentrated on the wonder of the house and garden image, suggesting that one might even see the pond from the house, never telling that one might have to cross a road to get there as Monet must have had to do. 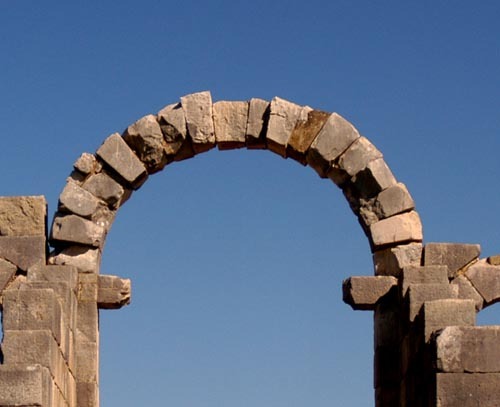 The gates are still there, and the road crossing. Today tourists use an underpass for safety and, no doubt, to minimize traffic interference, for thousands make this trip and pay for the privilege of entry, so public liability is involved. 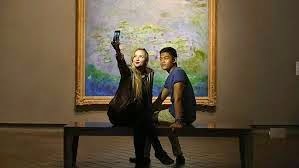 Tourism inevitably changes the experience into its cliché visitation and viewing pattern that approaches everything with the same intentions and creates a one-dimensional experience out of all visits, no matter where. Leaving via the confined stair entry, we walked down the village street to the bus that was to take us to the train that would take us to the train back into Paris: but of course things rarely go to plan. 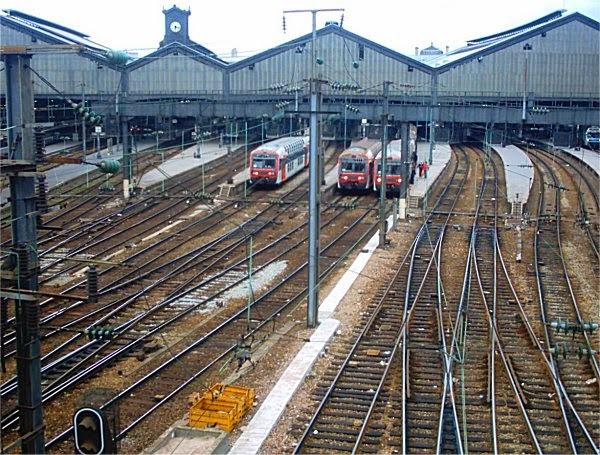 Something had happened with the trains. No one seemed to know or wanted to tell. 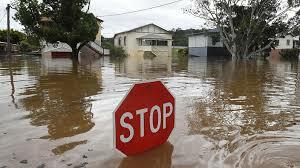 We got the message that an alternative route would be used. 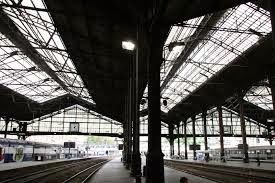 We detoured around Paris via Corbusier’s suburb Poissy - the Villa Savoye came to mind as we stopped at the station - through the industrial outskirts, eventually to arrive at our destination over an hour later than planned. It was dark, so we had dinner and a drink, no it was a drink, dinner, and a drink, and got the Metro back to the apartment. It was more than a full day. 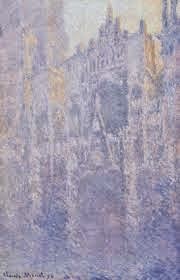 Monet had turned to moaning as tired legs climbed stairs to the high apartment. Sadly one eventually begins to feel like a tourist, so opts out to do more ordinary things like just enjoying the place with no pretensions or other ambitions; no time scales or plans. 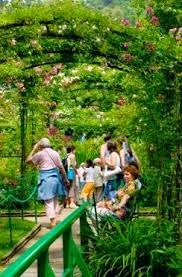 This is the best way to experience place: see - http://voussoirs.blogspot.com.au/2014/10/understanding-place-kobane.html But such nonchalance is impossible with locations like Monet’s Garden that require planning and schedules for it to be visited. 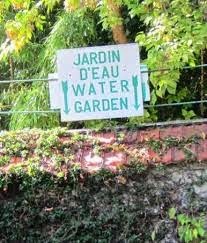 The disappointment was that this place should be allowed to conceal such a secret: the complete separation of the house and garden from the pond. There is self-consciousness in this body of water that seems theatrical. 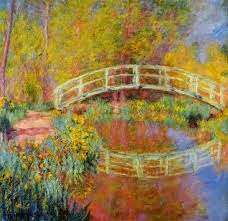 Monet made it, cultivated it, bridged it; painted it; photographed it as though it was an intimate garden pond. 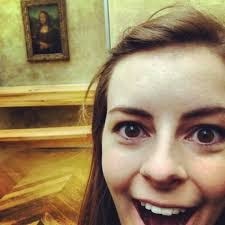 No, it was pure subject material for his painting. 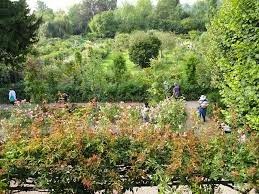 Was his garden only this too: something to illustrate so as to get an income for the family? It all leaves one feeling a little duped. Why has the mystery been left to linger without any clarification by anyone for so long? 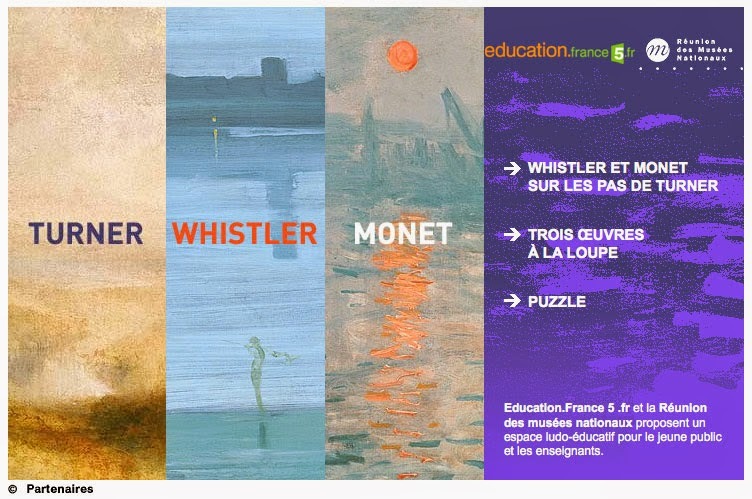 The promos should talk about Monet’s garden, house, highway and pond, not just the magic of ‘Monet’s garden’ - a falsehood perpetuated by every exhibition in the world. Has anyone ever seen the road photographed; the crossing; the underpass? 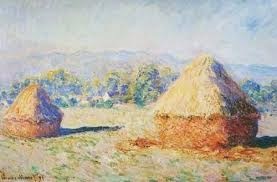 Did Monet paint these? Is it like the motorway in front of the The Staatsgalerie,Stuttgart: see - http://voussoirs.blogspot.com.au/2014/04/seeing-what-we-believe-idyllic-visions.html Why do we try to fool ourselves like this, because the visit puts things into context very quickly and shatters all preconceptions, no matter how dear they might have bee held? It is a disappointment that lingers longer than any longing. The bus stop and parking area for tourists. 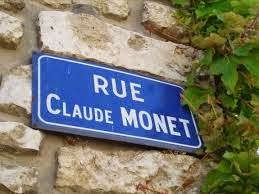 The path to Monet's house and garden goes off to the right under the D5. 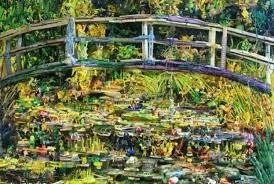 The broad approximations of locations of the various features of Monet's garden is made evident in the photographs placed on Google Earth. 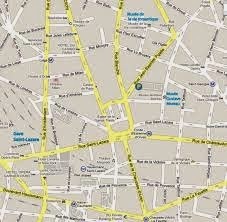 Little wonder that the D5 division between garden and lily pond is so ill defined in people's minds. 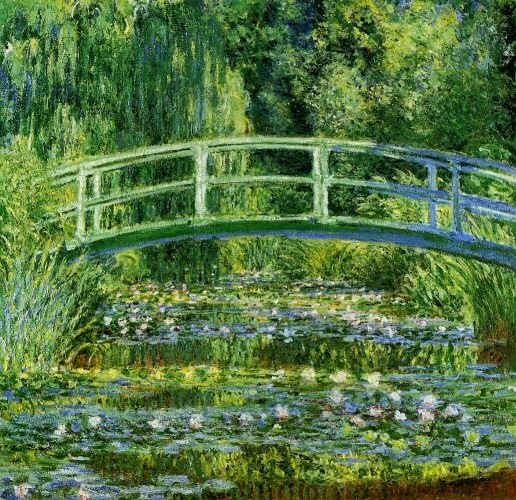 Do the wonder and beauty of Monet's many painted images of his much-loved garden, house and lily pond overcome any recollection of the D5, or do we just choose to ignore it? Do we only see what we believe in, or want to believe in? FRANK O. GEHRY: THE ART OF WAR?